New Zealand Shooting LIVE: New Zealand Prime Minister Jacinda Ardern announced that 40 people were killed in the mass shootings at two Christchurch mosques on Friday, adding that four suspects were in custody. This was followed by an announcement by New Zealand’s police commissioner that nine more people had died, taking the toll to 49. Earlier, Australian Prime Minister Scott Morrison said the gunman who killed numerous worshippers was a right-wing extremist with Australian citizenship. According to local media reports, the shooter reportedly live streamed the entire incident on Facebook. Witnesses told media that a man dressed in a military-style, camouflage outfit, and carrying an automatic rifle had started randomly shooting people. A Bangladeshi journalist Mohammad Isam, in a tweet reported that the entire Bangladesh cricket team were among those who escaped from the mosque near Hagley park, where the shooting took place. "Bangladesh team escaped from a mosque near Hagley Park where there were active shooters. They ran back through Hagley Park back to the Oval," he wrote. Christchurch Mayor Lianne Dalziel, in a Facebook post, has called for solidarity in the aftermath of the shooting. 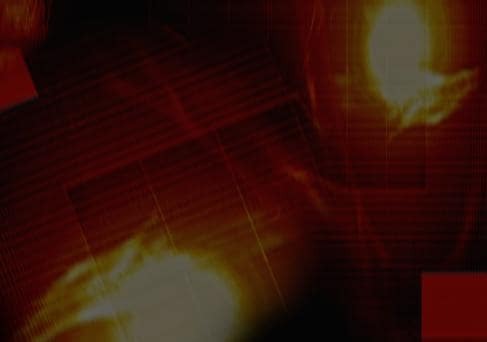 "It looks as if this was a very deliberate, cold, hard and deliberate, decision to undertake this attack in the first place. But to choose Christchurch to prove to the world that nowhere was safe, and to choose Christchurch in that way, I guess, shows the randomness ... The act of terrorism is designed to cause terror and the only way that we can combat that force is to join together and to care for each other across religious lines, every line that you can imagine that we divide ourselves by. We’ve got to make this unite us, not divide us," she says. The man who livestreamed himself attacking a Christchurch mosque and murdering at least 40 people identified himself online before the rampage as Australian citizen Brenton Tarrant, The Guardian reported. On a now-deleted Twitter account, Tarrant reportedly posted multiple photos of what appear to be machine gun magazines and a link to what is being described as a manifesto for his actions. At least 40 people were killed when gunmen opened fire at two mosques in Christchurch city on Friday. Police Commissioner Mike Bush says that the death toll in mosque massacre has risen to 49. "A man has been charged with murder and will appear in court tomorrow. One of those arrested may have had nothing to do with the attack, the two other people arrested in possession of firearms are still being investigated," he said. Addressing the nation from the Beehive tonight, Prime Minister Jacinda Ardern said: It is with extreme sadness that I tell you that as at 7pm tonight, we believe that 40 people have lost their lives in this act of extreme violence. -Forty people been killed and 20 injured in a terrorist attack on two mosques in Christchurch, which occurred during afternoon prayers. Three people , one of them confirmed an Australian-born man , are in custody. -It was described as “a terrorist attack” by NZ prime minister Jacinda Ardern, and an “extremist, right-wing violent terrorist attack” by Australian prime minister Scott Morrison. -Christchurch remains on high alert with the police issuing strict advisories to stay indoors and "keep all doors closed". -The attacker is believed to have livestreamed at least one of the attacks on Facebook. Even while the police urged people not to share the “distressing” footage, the 17-minute clip has gone viral on the internet. Flags will be at half-mast in Australia today, the Australian PM Scott Morisson has announced in a tweet. New Zealand’s threat level has been raised from low to high, Ardern confirms. Pakistan Prime Minister Imran Khan has issued a statement in condemnation of the shootings at two mosques in New Zealand's Christchurch, claiming 40 lives and leaving 20 injured. "Terrrorism does not have a religion," he says. Shocked and strongly condemn the Christchurch, New Zealand, terrorist attack on mosques. This reaffirms what we have always maintained: that terrorism does not have a religion. Prayers go to the victims and their families. A man who claimed responsibility for the shootings said in a manifesto that he was a 28-year-old white Australian who came to New Zealand only to plan and train for the attack. Of the confirmed 40 people killed, 30 were killed at Al Noor mosque and 10 killed at Linwood mosque. That 10 figure includes three people who were outside Linwood Avenue mosque at the time. 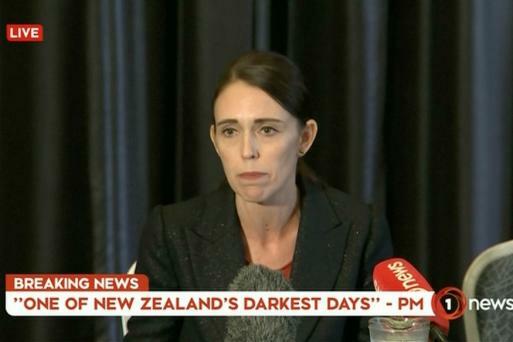 While addressing a press conference, New Zealand PM Ardren says, " we can only call this a terror attack and nothing else," adding that none of the suspects were on security or terrorism watchlists. New Zealand prime minister Jacinda Ardern has confirmed 40 people have died in today’s shooting in Churchchrist, with 20 injured. Australian PM Confirms One Accused Australian-born | Australia’s prime minister, Scott Morrison, has just confirmed that the shooter who was taken into custody was an “Australian-born citizen”. He says Australian authorities are now involved in investigations. Morrison also condemned the shooting as “a right-wing extremist attack” and offered his support to Muslims.“I particularly want to express my sincere prayers and thoughts to those New Zealanders and Australians of Islamic faith today, who have been the victims of this callous right-wing extremist attack,” he said. -Multiple people were shot dead after attackers opened fire at two mosques in the New Zealand city of Christchurch during Friday afternoon prayers. -Four suspects – three men and a woman – are in police custody and multiple explosive devices have been found attached to cars across the city. -New Zealand PM Jacinda Ardern, said it was “One of New Zealand’s darkest days”, calling the attacks “an unprecedented act of violence”. -Christchurch has been placed under a complete lockdown, with schools and public buildings closed. The school lockdown was later lifted but residents urged to stay indoors. -The attacker is believed to have livestreamed at least one of the attacks. Police have urged people not to share the “distressing” footage. Indonesia's foreign minister says six Indonesians were at the Al Noor Mosque in New Zealand when a shooting occurred and three of them escaped. Foreign Minister Retno Marsudi said, "We are looking for three other Indonesian citizens." New Zealand police say they're not aware of other suspects beyond the four who have been arrested after two mosque shootings but they can't be certain. Police Commissioner Mike Bush did not elaborate on the suspects who are in custody. The shootings occurred at two mosques in the Christchurch area during Friday afternoon prayers. The New Zealand police, in a tweet, confirmed that the lockdown on schools for now has been lifted. 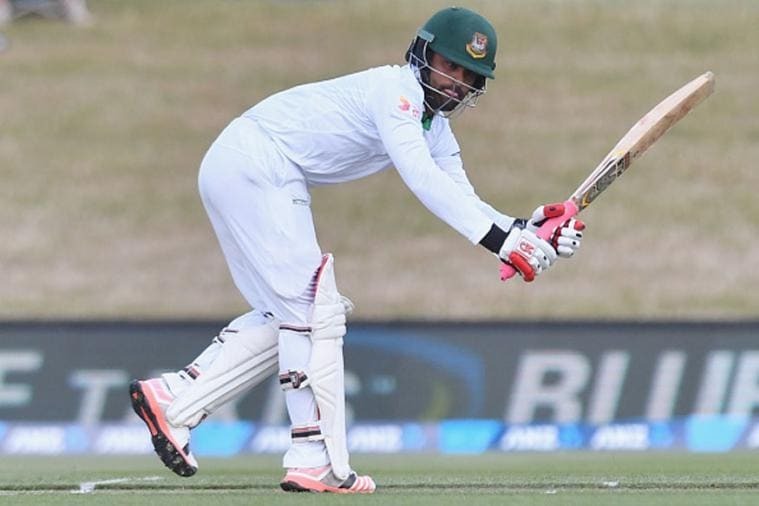 New Zealand and Bangladesh on Friday (March 15) cancelled the third Test after multiple people were killed in gun attacks on mosques in Christchurch, including one that was attended by the Bangladeshi team. New Zealand and Bangladesh on Friday (March 15) cancelled the third Test after multiple people were killed in gun attacks on mosques in Christchurch, including one that was attended by the Bangladeshi team. The final Test was scheduled to start on Saturday. New Zealand police commissioner Bush was asked about the video that is circulating online, shot by the attacker while he went on a shooting rampage. Bush said police were doing everything in their power to get the video taken down from the website and that “It’s very disturbing, it shouldn’t be in the public domain." A Malaysian was among those wounded during a shooting at two mosques in the city of Christchurch, Malaysia’s High Commission in New Zealand confirmed in a tweet. As reported, there was a shooting incident in Christchurch mosque at 1.40 pm today. The High Comm is in close contact with the local authorities to get further details on the victims. So far, one Malaysian is confirmed injured and currently receiving treatment at the hospital. New Zealand police commissioner Mike Bush has confirmed that four people are in custody, but that things are moving very quickly. He did not confirm if it is a terrorist attack, but says “it does not get more serious than this”, adding that there a number of IEDs attached to cars that have been made safe now. "We cannot assume if the condition is safe now," he says. The mayor of Christchurch Lianne Dalziel is speaking to ABC news at the moment. "This has been a shock, a shock to a city that has been through so much already. I’m shocked beyond words. I cannot think of the right words to say," she says. "The police are doing absolutely everything they can... and they are seeking to get the matter under control and as soon as they are in a position to get the situation under control, we will end the lockdown of our facilities." PM Jacinda Ardern has flown to Wellington for a crisis meeting of national security agencies and is scheduled to hold another press conference after that meeting. Central Christchurch is still under complete lockdown, people have been warned not to leave their homes, and for parents have been instructed to not attempt to retrieve their children from school, as they will be looked after by teachers and staff. Police have asked people across the country to not go to any mosque. New Zealand police have asked parents not to panic due to the lockdown as schools were taking care of their children. They said that they don't know by when will the lockdown be lifted but they will directly communicate with residents and posts updates on social media. 2/4 taken care of by schools. On advice from Police, schools will communicate directly with parents when the lock down is lifted.The safety of the community is our priority. 4/4 Media please note the stand up with Commissioner Mike Bush has been pushed back to 5.30pm. This will be held at the Royal Society on Turnbull Street, Thorndon, Wellington. New Zealand police has requested people not to share or upload video live-streamed by the gunman. Apple CEO Tim Cook expressed his condolences, quoting Martin Luther King, Jr.
Several Bangladeshi cricket team players took to Twitter to confirm the team's safety and their "close escape" from active shooters.